Dark Horse and Nintendo have had a close relationship in recent years. The Legend of Zelda: Hyrule Historia, The Legend of Zelda: Art & Artifacts, The Art of Fire Emblem Awakening, and The Art of Splatoon have all been released in North America thanks to the partnership. 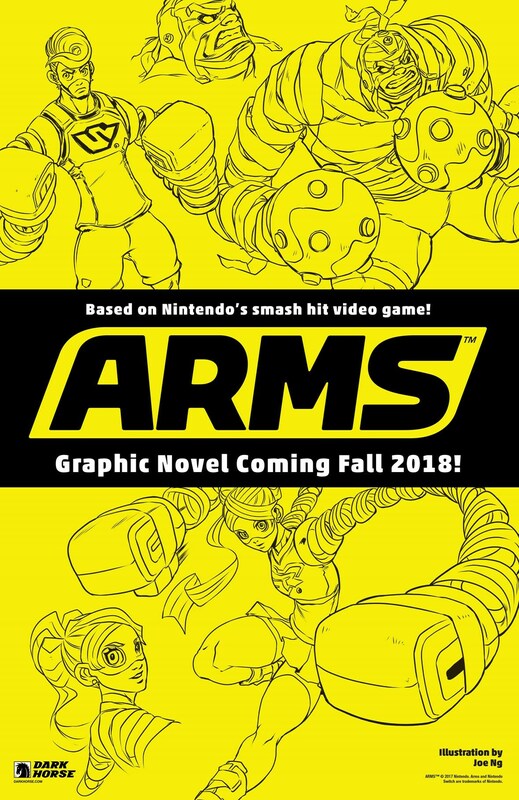 Today, Dark Horse announced a new publishing partnership for ARMS that will turn the Switch game into graphic novels. The first one will debut in Fall 2018. Further details were not shared. Since the graphic novels are about a year away, it’ll likely be awhile until we hear more.